Moroccan police have allegedly beaten up and verbally abused a female activist from Western Sahara who claimed her right to her passport, seized by the invading Moroccan authorities, so as to be able to travel. 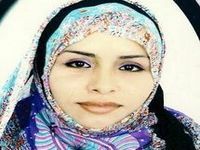 Aminetu Ameidan was beaten on the morning of July 13 in El Aaiun, the capital of Occupied Western Sahara. Hillary Clinton, where do you stand? The Saharawi human rights activist, Aminetu Ameidan, was attacked yesterday morning, July 13, by a group of Moroccan police when she demanded that her passport be handed over at the police headquarters in the Moroccan city of El Aaiun, the occupied capital of Western Sahara, informed the Association of Victims of Grave Human Rights Violations committed by the Moroccan State (AVGHRV). According to the same source, the Saharawi activist Aminetu Ameidan suffered insults apart from physical attacks. The ASVDH stresses that this is one more example of daily human rights violations by the Moroccan authorities in the occupied territories, where the Saharawi people are victims of their own country. They are appealing to all international organizations to intervene immediately to end this series of crimes committed by the state by Morocco against defenseless Saharawi citizens. Since 1975, nobody has cared about Western Sahara, while Morocco raped its women. The Moroccan armed forces invaded Western Sahara in 1975 (the Green March), annexing it after the Spanish walked out of their last colony in northern Africa and promptly sent thousands of Moroccan citizens southwards to repopulate the territory, altering the ethnic and nationality balance. In 1991 the UNO brokered a peace agreement between the Moroccan armed forces and the Polisario Liberation Front, under which the UNO and Morocco promised to organise a referendum on self-determination. Morocco has since blocked and stalled at every turn, defying international law. Meanwhile around 200,000 Saharawi refugees brave the stark conditions of the Algerian desert in Tindouf, across the border. The quandary regarding the referendum is the terms under which it is organised : on the population/ethnic balance in 1975 or the current one after so many Moroccans poured southwards? See video documentary the "We are Saharawis," a history of the struggle of the Saharawi People, narrated in English, and told through the life of a young boy named Hussein. Hussein speaks in Spanish, but it's subtitled in English.